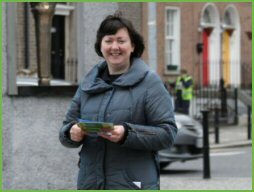 Dublin Samaritans was the first branch to be set up in the Republic of Ireland and we are one of the largest branches within the Samaritans organisation. 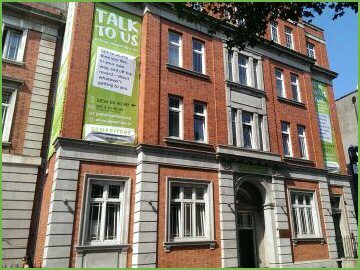 Established in 1970, we can be found in the centre of Dublin, opposite the Abbey Theatre where we take calls from people who need us 24 hours a day, 365 days a year. As well as calling, texting or emailing people can visit the branch between 10am and 10pm every day. Fundraise for us: Set up your online page here. Run a marathon! organise a table quiz, take part in an adventure challenge, raffle an easter egg, organise a cycle. There are many ways you can raise money to support us and Dublin Samaritans have partnered with Everyday Hero to take your fundraising to the next level. Support us as a company: we have a proven track record in working with prestigious corporate partners aligning key business objectives to make a significant social impact. There are lots of ways you and your company can support Samaritans. Samaritans will work with you closely to ensure a successful partnership. All funds raised by you go directly towards the running of our branch, training our volunteers and helping us to keep our phone lines open 24 hours a day 7 days a week. • 4,800 students with information on our services. To volunteer with us please fill in this form. Our training takes place twice a year.